Studio Make is a full service design and fabrication company specializing in specialty custom precast and site cast concrete, specialty steel fabrication , and wood working. The company was founded by Duncan Susag of Sound Concrete and Cody Carpenter of Architectural Concrete Interiors. With a combined 25 years of industry experience we are dedicated to solving the most challenging of projects and bringing them to fruition with the highest level of craftsmanship. All of our products are hand crafted locally in Tacoma Washington using locally sourced and sustainable materials. Our style emphasizes on modern design practices enhancing our products as bold statement pieces that are timeless in their design and aesthetics. Studio Make's portfolio consists of many award winning and published projects in publications such as Dwell, Luxe, Scottsdale living, Desert Living, Phoenix Home and Garden, Concrete Décor, Island modern, Concrete homes, Plastolux, Design Milk, Phoenix New times, and more. 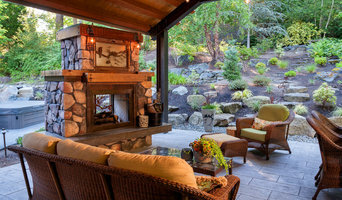 Whether you are a designer, architect, or homeowner we are here to cater to your specific project needs. 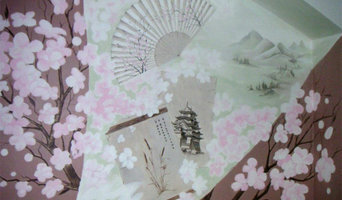 The Mural Works, Inc. is an Edmonds, Wa based mural painting company. Working throughout the Seattle Metro area and nationally, muralist Andy Eccleshall specializes in hand painted residential and commercial murals, trompe l'oeil and fine art. Karen Ehart Art Glass, Inc. I operate a glass studio in Kent, Washington where I design and manufacture functional as well as sculptural work and wall pieces. I work with designers and industry professionals to provide that "extra something". I also make custom work for home owners and businesses. My work is contemporary, modern, colorful, abstract. I make wall art and table top art with tropical as well as southwest themes. Iskra Johnson is a printmaker, photographer and mixed media artist. Her themes range from bold architectural/industrial subjects to contemplative landscapes and botanical images inspired by nature. 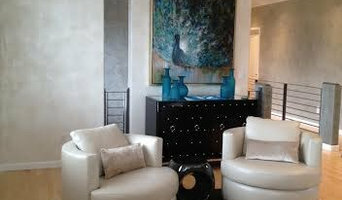 The sophisticated color sense and composition of her work complements many different kinds of interiors. 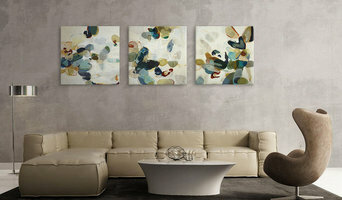 She enjoys working with designers and collectors to bring unique and beautiful art into the home. Commissions welcomed. Iskra Johnson is a featured artist at Seattle Art Museum Gallery and has shown at numerous other galleries in the Seattle area. Her artwork is in the collections of the City of Seattle and Group Health/Kaiser and in private and corporate collections throughout the United States. Sarabella Tuscan Jars are hand crafted decorative accessories that add luxury and style to any private residence or commercial space.